Nadia’s Beauty specialises in Sugaring, Waxing and IPL Laser hair removal in Reading. If you are tired of shaving and want to be hair free for longer, why not try a new method of hair removal? At Nadia’s Beauty, we specialise in hair removal techniques which include waxing and IPL laser hair removal. The results of each hair removal technique differ depending on the hair growth of the person. Waxing can last up to 8 weeks and can be used on most areas of the body. The most common areas that people have waxed are the bikini line and the legs. Though waxing is often associated with women, it is often used on men too. Men commonly use waxing to remove excess hair from their back and chest. Athletes also have waxing treatments in order to make them more streamlined when competing in sporting events. 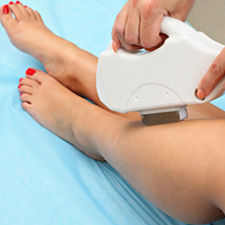 Swimmers, runners and cyclists all benefit from hair removal techniques. IPL laser hair removal uses light and radio frequency to treat the skin and reduce the hair growth. Good results are usually achieved after 3 to 8 weeks. Treatments can be repeated once every two months IPL laser hair removal can also be used on most areas of the body and can be used to remove excess hair caused by hormonal imbalance. Nadia’s Beauty uses the E-light IPL system which uses a cooling system to make the treatment more comfortable. A short health check will be required before you have a hair removal treatment. This is to make sure that the treatment is suitable for you, and will not be affected by any mediation that you take. Try a new hair removal technique today and see the amazing results that you can achieve.